With the price of fuel continuously rising, many car consumers in the Indian auto market are opting for diesel powered cars. We recently reported about VW’s Vento streaking past the Honda City, the best selling car in the mid size sedan segment. There were many reasons which has led to its success, one of the reasons being that like all the other Volkswagen models, the Vento too is offered in a diesel variant. Honda Siel Cars India’s Senior VP of Marketing and Sales, Jnaneswar Sen, said that their small diesel powered engine is still more than two years away. Till then they will have to make do with their petrol powered engines. While this will be difficult, they are ready to weather it. Currently diesel is priced at Rs.30 per litre less than Petrol, a price differential which has rapidly increased in the previous 12 to 18 months. Jnaneswar said that the shift in demand took them by surprise and they were not ready to face it. He also reportedly cited this as the reason for their popular City losing its top position in the mid-size sedan segment to other competitors with diesel variants. While a diesel hike is expected to come in the next couple of days, this hike will be no more than Rs.4 per litre, meaning the difference between petrol and diesel prices would still be a lot. It’s no wonder that many manufacturers of cars like Skoda, Volkswagen, Ford and Maruti are witnessing huge rise in sales for their mid-size diesel variants. GM also said that their diesel powered Beat would have greatly increased their sales, had they thought of introducing it before. The exception to this rule; however are petrol Hyundai cars that are still selling well in the market. Things could, however change soon as the company begins offering diesel variants, as soon as their Rs.400 crore plant is set up and ready for production. Toyota could also make the same move with their new diesel alternative Liva hatchback, though there has been no confirmation regarding it yet. Their diesel Corolla model has so far been achieving great numbers, so their Etios and Liva sedans are likely to be introduced in diesel variants as well. Honda meanwhile will have to wait a bit longer, which could prove risky for them, if the change of consumer preferences to diesel variants gains momentum. Meanwhile, the petrol variant market will decrease further, and Honda will have to take all precautions so as to ensure that their sales figures are not affected badly. All this comes at a time, when the Japanese auto company recently slashed their production following disrupted parts supply, because of the tragedy in Japan, affection auto parts plants. The company’s Brio hatchback which will slated to launch during Diwali in India, could be a game-changer for them, though the not introducing a diesel variant could affect sales. Honda is planning to do the best it can, with what they currently have to offer, conceding that not offering a diesel variant now, will impede them a for short term. Sen said that his dealers are taking pains in explaining the various benefits of petrol powered engines to their customers. 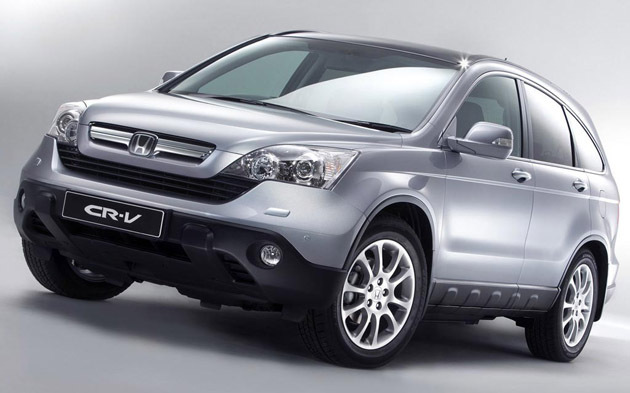 Honda is known for providing high-end engines, which they have proved over their time spent in India.